Did you know that the Lilac flower is also known as Syringa? Lilac grows as a shrub or small tree up to 20 feet in height producing a crowd of erect stems, clothed with spirally arranged flakes of bark. It is covered with smooth shoots and leaves, usually heart-shape and 2 to 6 inches long. Our concern, however, is with the fragrance and unforgettable flowers. You know this is a special flower, when a color is named after it. 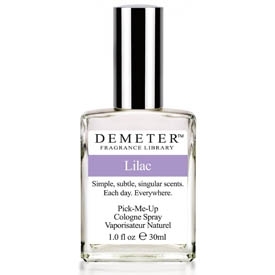 Now you can have the beautiful and fragrant flower bottled up with your Lilac Perfume Spray.